Become Cisco CCNA Security - Certified Stress-Free! Study Guide was developed by experienced Cisco trainers to help you learn all the topics on the 210-260 exam. It contains lots of exam preparation tips, background information, hints and pointers to areas you need to improve, be it your knowledge of theory or practical skills. CCNP Routing and Switching certification demonstrates the professional’s capability and knowledge to verify, plan, implement and troubleshoot LANs and WANs. The certification also allows professionals to work together and closely with experts on voice, security, video and wireless solutions. The knowledge and skills gained from this certification is suitable for both physical and virtual networks.This certification is ideal fornetwork engineers who thrive to plan, verify, implement and troubleshoot LANs and WANs. This certification provides the necessary knowledge and skills to build industry best practices and practical training. CCNP Routing and Switching certification is aligned with the job market and the latest technology. So, professionals always remain updated. This certification is job role focused and so makes individuals expert in the field of network routing and switching. The CCNP certification promises better salary, promotion and international recognition. This certification is highly demanded by employers today and will be a trump card for your resume. Candidates must pass the 300-101 ROUTE exam, 300-115 SWITCH exam and 300-135 TSHOOT exam in order to obtain the CCNP Routing and Switching Certification. CCIP and CCDP are its associated certifications. For attaining the CCNP Routing and Switching certification, candidates must hold a Cisco CCNA Routing and Switching certification or any Cisco CCIE certification. At least one year job experience in networking is also required. The CCNP Route exam tests the candidate’s skills and knowledge on higher level IP addressing and routing capability, are able to implement secure and scalable Cisco Routers for LANs and WANs. The CCNP route also includes configuring routing solutions for mobile workers and branch offices. The CCNP Routing certification has CCNP ROUTE 642-902 or CCNP ROUTE 300-101 as its associated exam. The CCNP ROUTE 642-902 exam will no longer be available after January, 2015. Planning services related to Routing: includes Cisco Enterprise Architectures, various Hierarchical Network models, various routing protocols, etc. Applying EIGRP-based solutions: includes main technologies of EIGRP, EIGRP Traffic, EITGRP Metric Calculation, etc. Implementing scalable and multiple area network, and applying OSPF-based solutions: includes understanding of Link-State Protocols, planning and documenting OSPF, etc. Applying IPv4 based solution for redistribution: includes running various routing protocols, understanding route maps, etc. Applying Path Control: includes process of path control and the various path control tools. Connecting together ISP networks and Enterprise Networks: includes understanding the various ISP connectivity, Default Providers and Routers, BGP Databases, BGP States, etc. Understanding various protocols like EIGRP, OSPF and BGP. CCNP Routing study guides, books, flash cards, and video tutorials are excellent aids for preparing g for the CCNP Route exam. CCNP Routing PDF or CCNP Route PDF version study guides are also available. The CCNP Route lab manual is a very helpful guide for lab based or practical exercises. It is recommended that candidates should take the CCNP Route training program before appearing in the CCNP Route exam. Practice exams found in books are very resourceful for the CCNP Route exam as these identifies your skill before the real exam. These practice tests familiarizes candidates with the actual test questions. Many CCNP Route exam preparation tools are available in the market nowadays. However, whatever learning tool you use actually depends on your own unique learning style. So choose the ones that suit you best. Make every minute of your day count by studying on the go, no matter where you are. 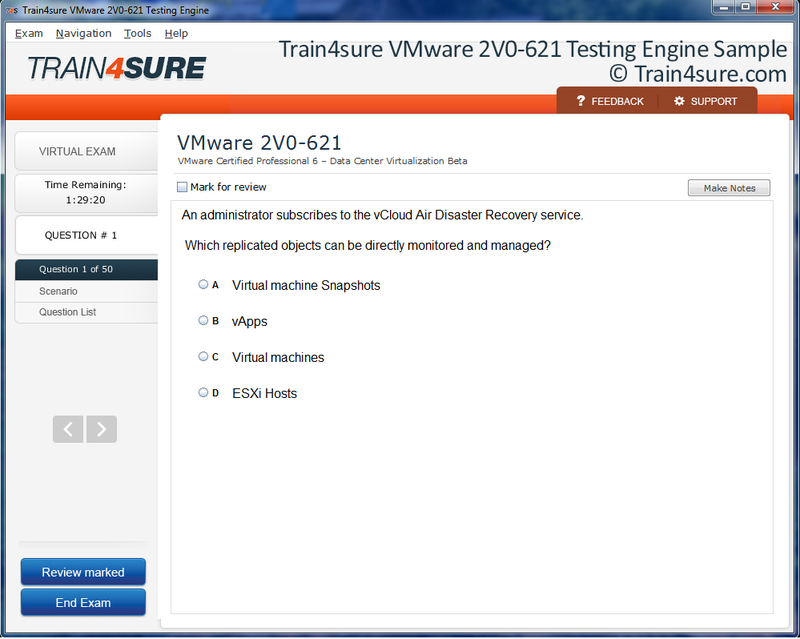 To make this easier for you, Train4sure offers the PDF version of 210-260 Questions & Answers. * PDF Version is an add-on to the main product (210-260 Questions & Answers) and cannot be purchased separately. 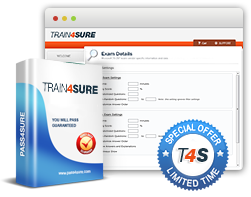 Experience Train4sure Cisco 210-260 practice test Q&A testing engine for yourself. To get a preview of Cisco 210-260 Testing Engine with our free demo, all you need to do is type in your email address in the field below. * Kindly note: demo shows a few questions from Cisco 210-260 exam, solely for the purpose of preview.